Many contractors are looking for ways to streamline their business, control costs, and bring more profit to their bottom line. Many contractors are turning to companies like Contractors Software Group, Inc. to provide them with automation tools to help them sell more, generate more leads, build happier customers, estimate faster, create more accurate proposals, communicate more effectively with their vendors, and make more money. The question becomes, “How do you make sure that a program or system is right for you?”Many developers offer 30 day trial period and some provide one-on-one demonstrations and/or group webinars to educate their buyers before they purchase. The best method depends upon what you’re planning to purchase. When purchasing a fully integrated system, there is an implementation process where your data is entered into the system and field areas are specified based upon your needs and industry. Most estimating, job cost or fully integrated systems do not come preloaded with data that pertains directly to your business. Most estimating products come with some form of a database, but you still need to make customizations to meet your method of estimating and pricing, so you may fully utilize the product. Depending upon your work schedule and time commitment it will most likely take longer than 30 days. An ideal amount of time to implement any Job Cost Accounting system successfully is around 6-8 weeks. There are also three stages of a successful implementation. Conversion Stage– This is where you pull your totals from your existing system. Once you complete this stage, you’re up and running. Procedural Stage – This is where you understand the day to day use of the product. Each stage of the implementation process takes some form of training. This could include: reading manuals, one-on-one training, group webinars, classroom training and/or 24/7 question and answer forums on a web site. From experience, the most successful installations are the ones that take the most training. Software and its implementation is an investment. You must be prepared for that. 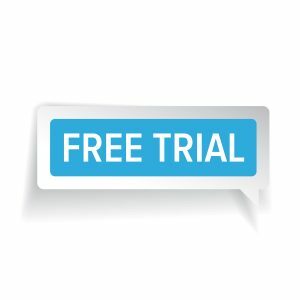 If you find cheap software where there is a free trial and free training included, you’ve probably found a company that will soon be out of business. A 30-day trial is even more useless when investing in fully integrated start-to-finish solutions. The successful developers won’t offer 30-day trial period anyway because they understand that the most sophisticated systems take longer to set up. Typically, with fully integrated solutions you’re automating multiple processes with multiple skill sets and multiple people. Because of this they will take longer to implement. If you’re fortunate where you have multiple people within your company that can implement their portion of a system that being; Customer Service Management, Estimating, Project Management and Job Cost Accounting , the time will be less than if there is only one person trying to implement all these systems at one time. One feature advantage of Contractors Software Group’s products is that they’re modular so a company can implement one application at a time–at their own pace. When was the last time you built a project for customers, let them use it for only 30-days, and then they gave it back to you? You might say it is different, but in reality it isn’t. What we’ve found works best in selecting software, is working with a provider like J. Knutson & Associates, Inc, who has 25 years of knowledge implementing construction software systems. Discuss your needs with them and they will be able to recommend the right solution for your business. Spend as much time as necessary and have them demonstrate all the features of the product, so you’re comfortable with your decision. This way, they take away the anxiety of making any mistakes or losing money.